Amsterdam, January 12, 2018 —First there was a tweet. Gunther Oettinger, the EU commissioner for budget and human resources, wondered whether the European Union should impose a tax on the production of plastic for environmental reasons. Soon after, he gave a written explanation to journalists in — among others — this message. 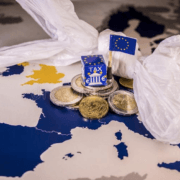 The European Commission wants to impose a tax on plastic in the entirety of the European Union in order fight pollution and to make use of the income it would provide. Due to Brexit, however, it has become more difficult to finalize such a measure. Another important reason for the implementation of this proposal is because, as of recently, China no longer imports waste plastic from Europe. There are two ways to do something in order to cut the use of plastic in practice, thereby lowering the accompanying environmental damage. The first is to prohibit certain applications of the material, such as the use of microplastics in personal care products. The second is to make plastic more expensive, for example by imposing a levy on production. 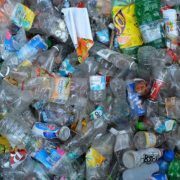 At the moment, plastic is dirt cheap, which means that the cost of the pollution it causes is not included in the price. Because plastic is so cheap, it is massively used and preferred over other materials on the market. Practically every separate fruit is packaged in it. Single-use plastic dominates, and the subsequent damage — the plastic soup — appears on the front pages of the news more and more often. 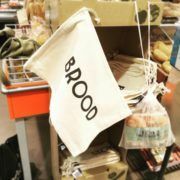 Up until now, producers and politicians maintained an entirely different approach; placing the burden on the consumer. People must be taught that plastic can no longer end up as litter. Already-used plastic must be recycled. 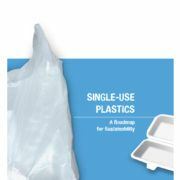 Both these strategies leave the annual growth of plastic production undisturbed, and both offer no results. It seems to be an illusion that the plastic cycle can be closed completely (so that plastic doesn’t reach the environment); an entire population can hardly be raised to ensure that everyone neatly separates their waste and always tidies up after themselves. Commissioner Oettinger does not yet know if the tax will fall on producers or consumers. Either way, the announcement is a milestone. We cannot lose time. 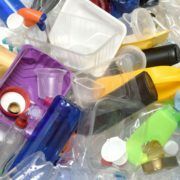 By making plastic more expensive, both consumers as well as producers will deal with the material in a different way. Maria Westerbos, director of the Plastic Soup Foundation: “We encourage a Europe-wide tax on plastic. This is a step in the right direction. 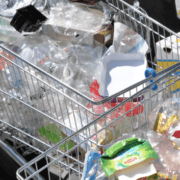 Disposable plastic will be taxed, hopefully suggesting that its heyday is over”.